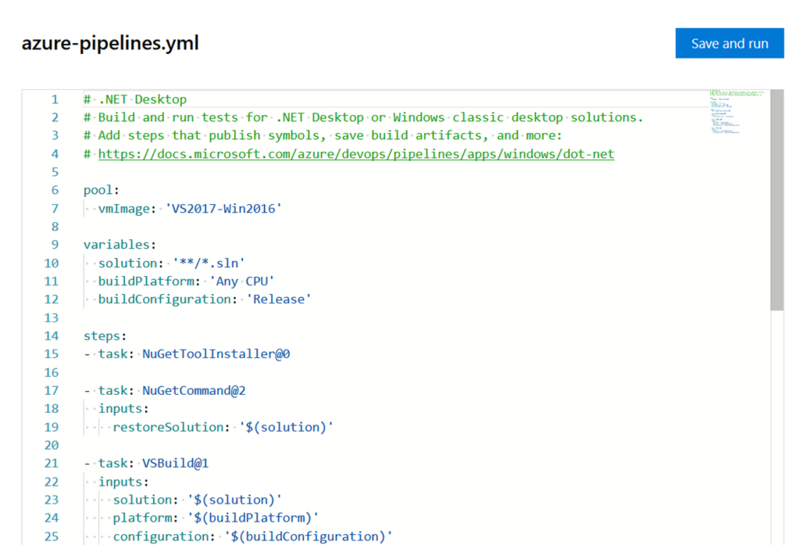 In previous post I’ve shown how easy is to create a YAML definition to create a build definition to build your GitHub Open Source project in Azure DevOps, without the need to spend any money nor installing anything on you server. 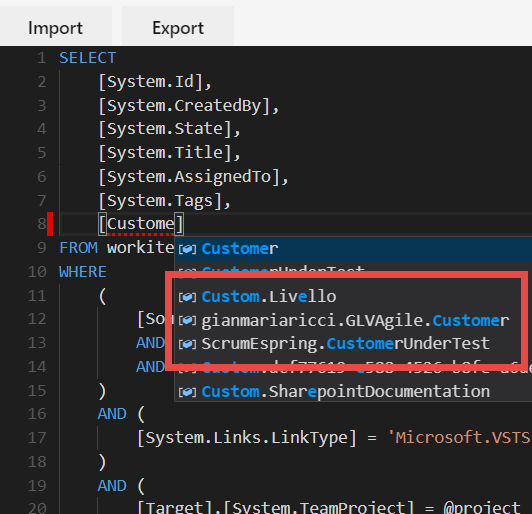 Once you create a default build that compile and run tests, it would be super nice to create a free account in SonarCloud to have your project code to be analyzed automatically from the Azure Pipeline you’ve just created. 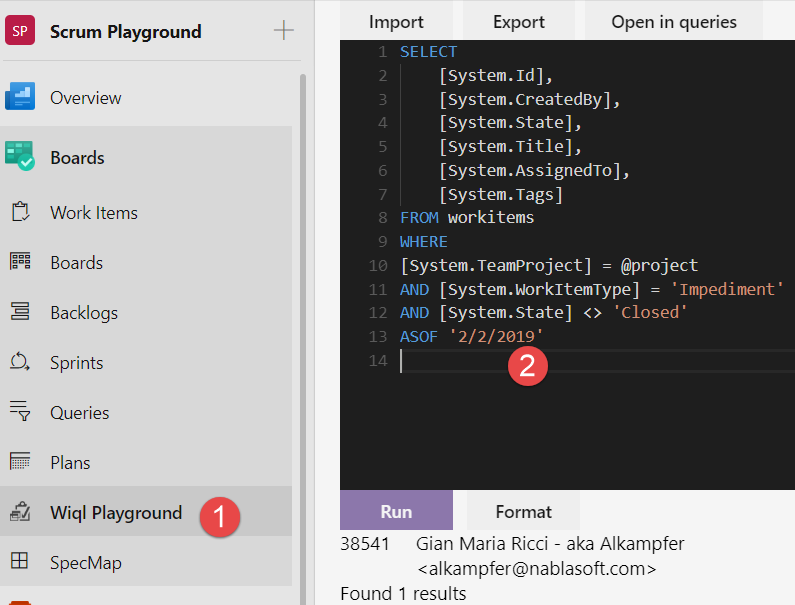 I’ve already blogged on how to setup SonarCloud analysis for OS project with VSTS build and the very same technique can be used in YAML build. First of all you need to register to SonarCloud, create a project, setup key and create a token to access the account. Once everything is in place you can simply modify YAML build to perform the analysis. Figure 1: Task to start sonar cloud analysis. The above task definition can be obtained simply creating a build with standard graphical editor, then press the YAML build to have the UI generate the YAML for the task. Actually YAML build does not have an editor, but it is super easy to just create a fake build with standard editor, drop a task into the definition, populate properties then let the UI to generate YAML that can be copied into the definition. 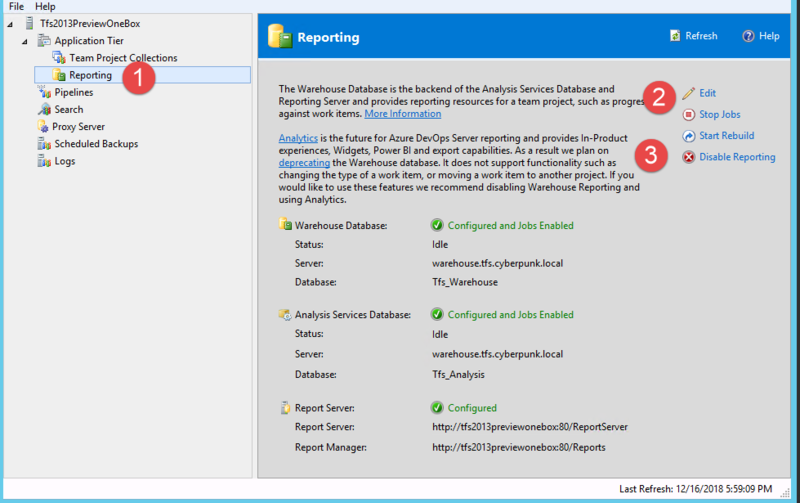 Once the analysis task is in place, you can simply place the “Run code analysis task” after build and test tasks. The full code of the build is the following. Once you changed the build just push the code and let the build run, you should check if the build completes without error, then verify if analysis is present in SonarCloud dashboard. A couple of suggestion are useful at this point: first of all you can encounter problem with endpoint authorization, if you have such problem check this link. Another issue is that you should analyze master branch for the first analysis for SonarCloud to work properly. Until you do not analyze master branch, no analysis will be shown to SonarCloud. 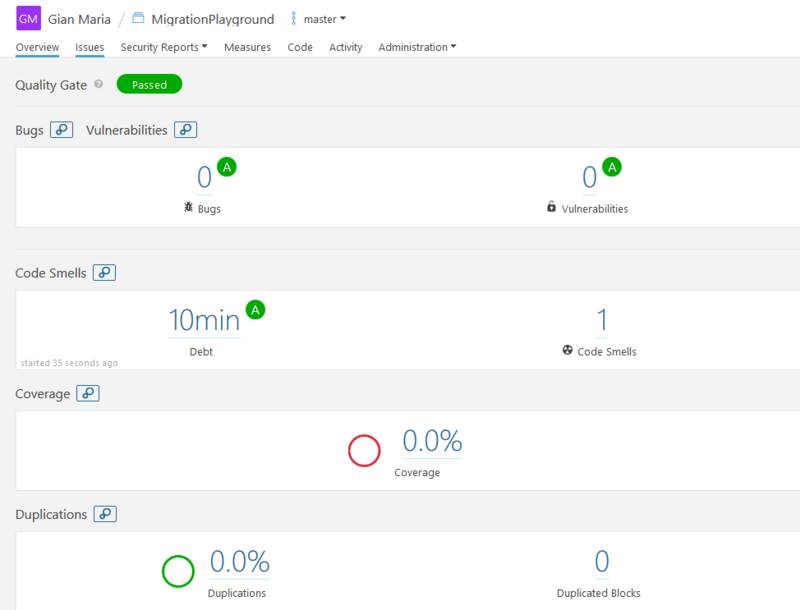 If everything is green you should start seeing analysis data on SonarCloud UI. 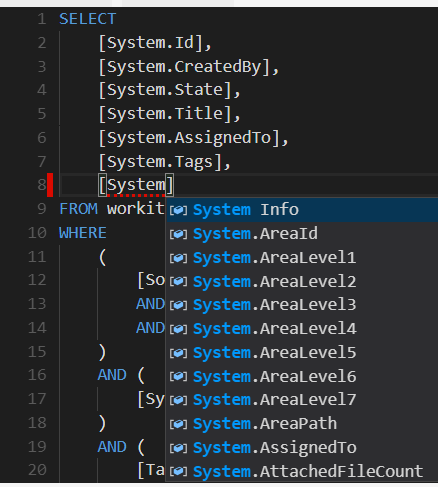 As you can see just a few lines of YAML and I have my code automatically analyzed in SonarCloud, thanks to Azure DevOps pipelines that already have tasks related to SonarCube integration. A nice finishing touch is to grab the badge link for SonarCloud analysis and add it to your github readme.md. Figure 3: SonarCloud badge added to readme.md of the project. 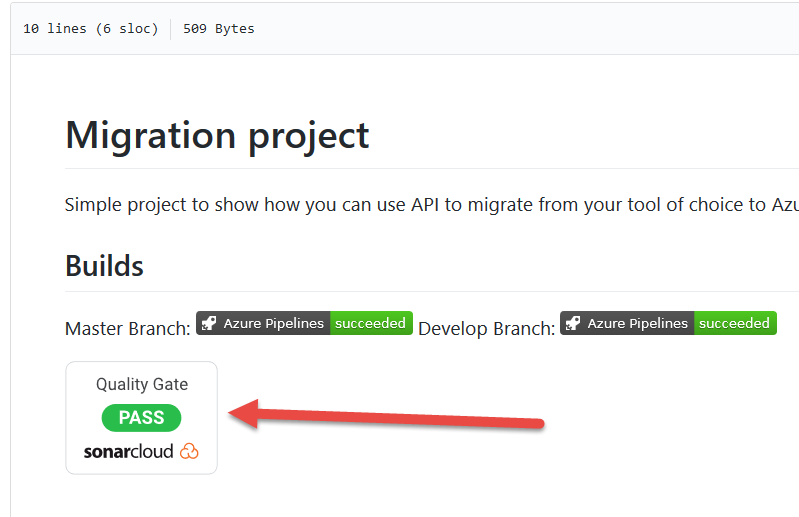 After you created a new project in GitHub, you can simply login to your Azure Dev Ops account (https://dev.azure.com/yourname) then go to azure pipelines and start creating a new pipeline. As you can see, you can choose GitHub repository or Azure Repositories. 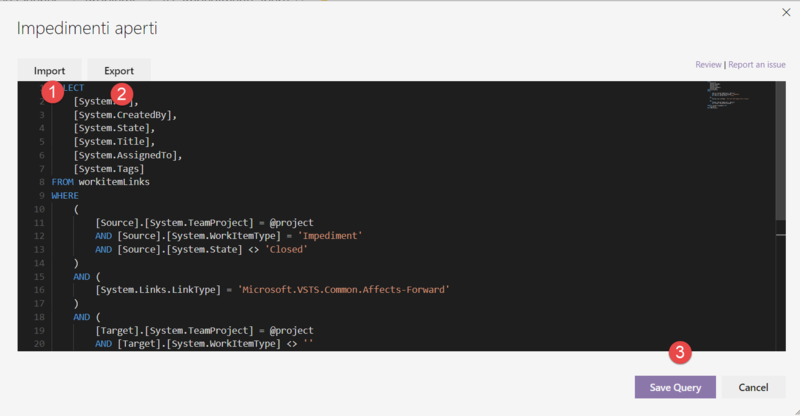 This is the latest UI available for azure pipelines and allows you to create a pipeline with YAML (definition with Code). Since I really prefer this approach than the usual graphical editor, I choose to create my new pipeline with YAML, so I simply press Git Hub to specify that I want to build a project hosted in GitHub. 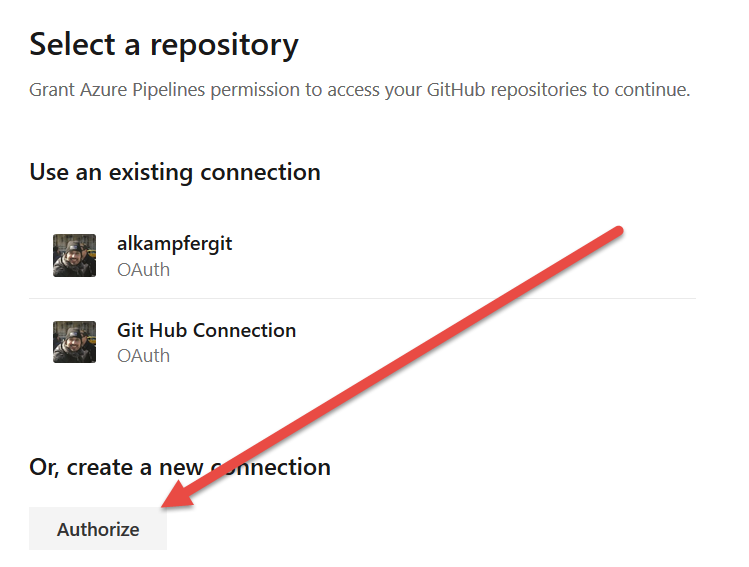 Pressing Authorize button you can authorize with OAuth in GitHub, if you prefer you can use a token or install the azure devops app from the GitHub Marketplace, but for this example I’m using OAuth, because is the simpler approach. Once logged in, I can browse and search for the repository I want to build. Figure 3: I’ve chosen the repository I want to build. 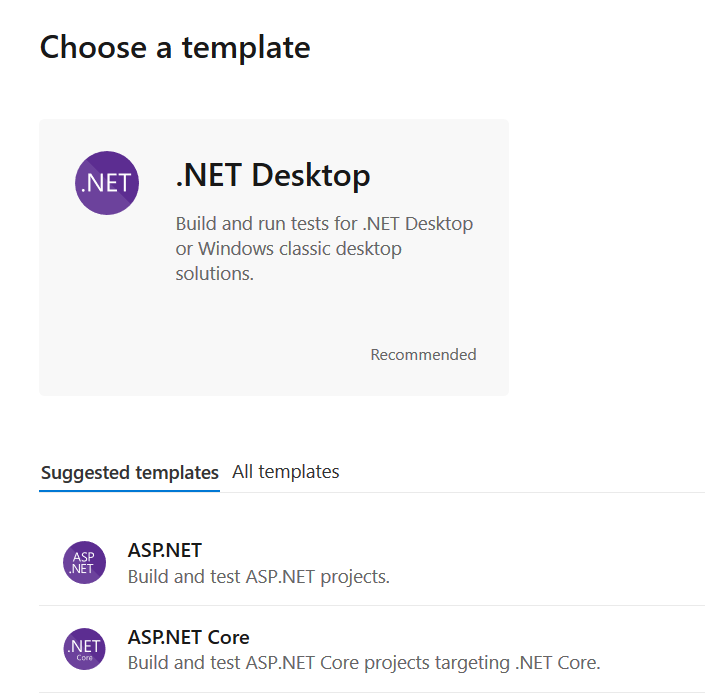 When you choose the repository, the wizard analyze the code in the repository, suggesting you the template that best suites your need, in my example code is a standard .NET Desktop application (it is a console app). Figure 4: Template suggestion from the wizard. You can choose other template or you can start from an empty template. 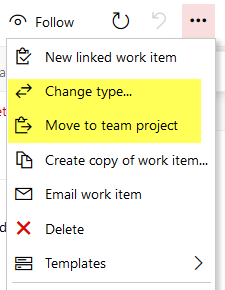 Whatever is your choice, you can always change the template later, so I choose .NET Desktop and move on. Thanks to the new Wizard, you can start with a template and a YAML definition that contains basic steps to use as starting point. Once I’ve chosen the template, the wizard generates a YAML Build definition based on that template, like shown in Figure 5. Clearly YAML code for the build should be in the repository, so I press the Save and Run button, then choose to create the file in another special branch. Figure 6: Create the YAML build directly in GitHub repository, but in a different branch. Once the wizard commits the YAML definition, the build immediately starts so you can verify if everything is ok. 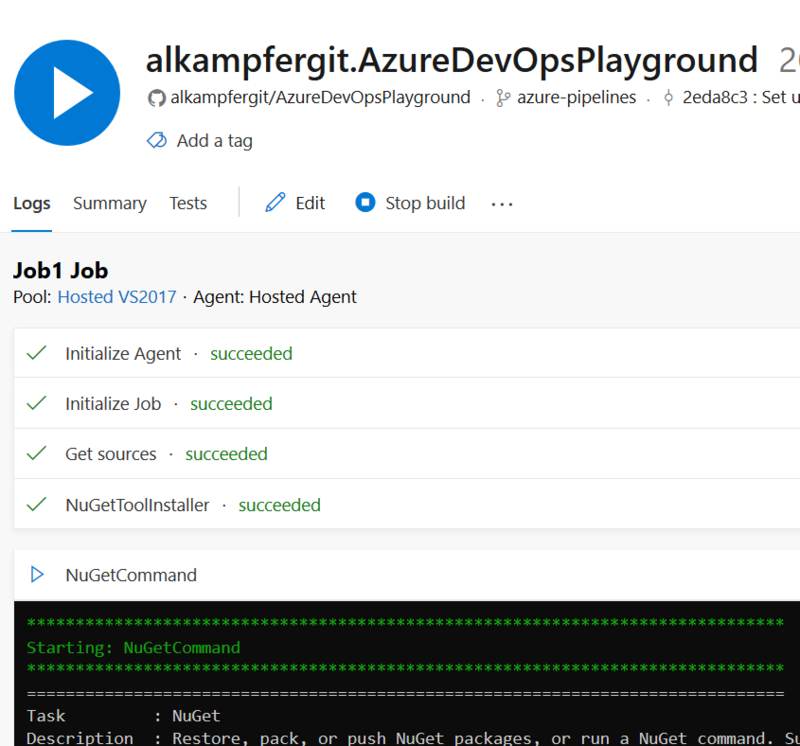 The nice aspect is that you do not need to configure any build agent, because the build will be executed by Hosted Agent, an agent automatically managed by Microsoft that is hosted in azure. 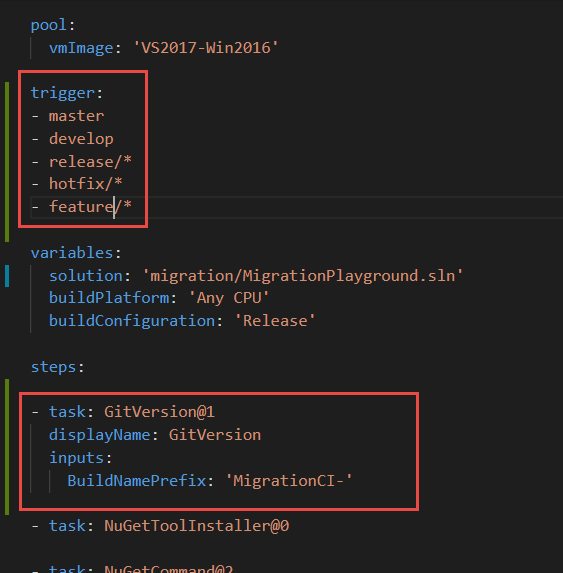 For open source project Azure Dev Ops gives you 10 conccurent builds with unlimited minutes per month, this is really cool. Azure Pipelines gives you free minutes month and 10 concurrent build for open source projects. Figure 7: Build is running on hosted agent. Figure 8: Small modification of the build definition, triggers and GitVersion task. 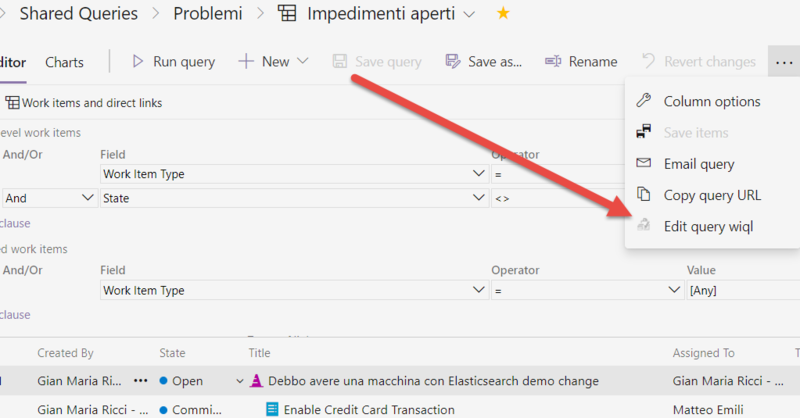 Just push with the new definition and now you define triggers that automatically builds every push to standard master, develop, feature, release and hotfix branches. Thanks to YAML definition everything regarding the build is defined in YAML file. Once the build is up and running, you can go to summary of the pipeline definition and you can grab the link for the badge, to use in readme in GitHub. Figure 9: Status badge menu allows you to get the link for the status badge of selected pipeline. Pressing Status Badge will show you links to render build badges. Usually you can put these links to Readme.md of your repository. If you look at badge Url you can verify that you can specify any branch name; for a gitflow enabled repository at least I’m going to show status for master and develop branches. Et voilà, badges can be included in GitHub readme. 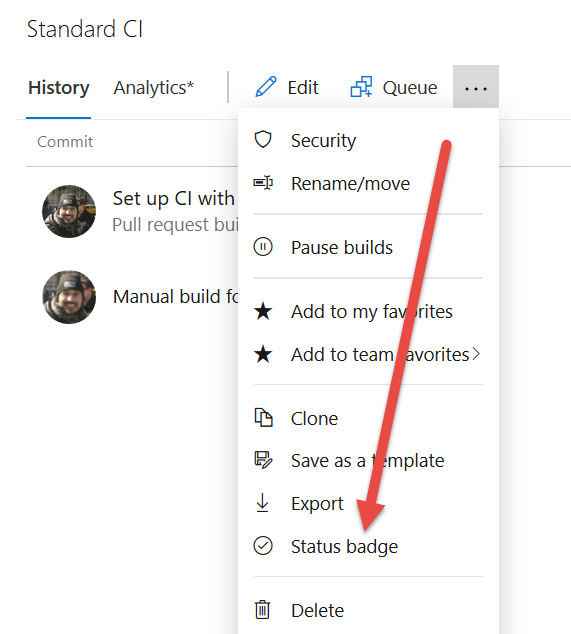 Figure 10: Badges in GitHub readme can show the status of the continuous integration for your project. 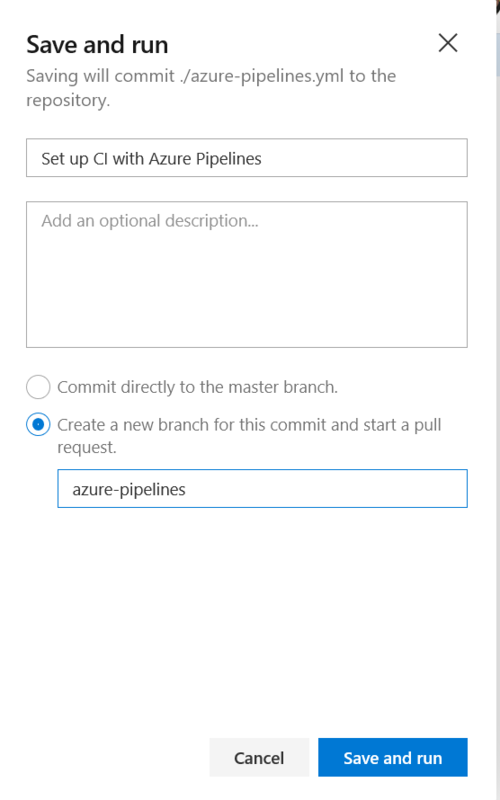 Thanks to Azure Pipelines I’ve setup with few minutes of work a Continuous integration pipeline; absolutely for free, without the need to install any agent and directly with YAML code.